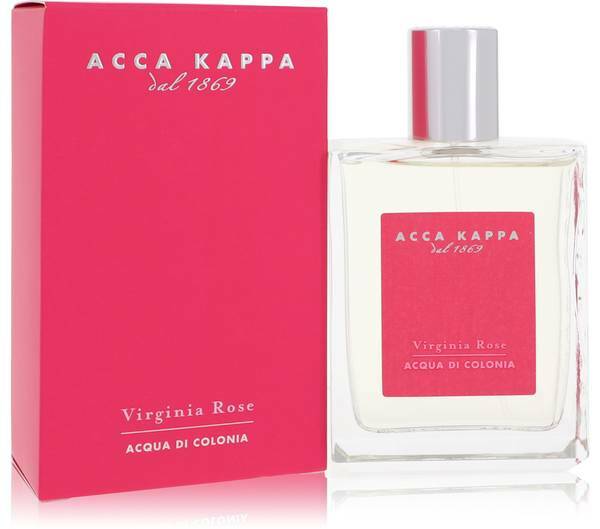 Virginia Rose Perfume by Acca Kappa, The opening of a rose is a breathtaking experience beyond words or imagination . The delicacy and complexity of the petals as they unfold is worth the wait. Once the queen of the garden has revealed herself to the world, all who behold her scent are transfixed. 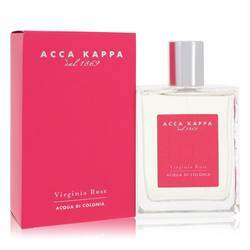 Ancient myths become reality in the timeless fragrance Virginia Rose by leading perfumer Acca Kappa. Created in 2013 by world-famous designer Luca Maffei, it captures the heart of the opening rose with Read More Read More unforgettable sensual precision. The top is a blend of lush Moroccan rose absolute and exotic Turkish rose essence in an intensely romantic and feminine opening. Aromatic Sicilian lemon forms the heart, with a hint of evergreen elemi to fix a fresh citrus middle. Nostalgic and familiar geranium mingles with earthy Brazilian rosewood to form a comfortable and intimate base. Luca Maffei has signed over 50 perfume creations in his decades of work. An independent Italian perfumer, his perfumes have won numerous awards, and he brought his experience in the world’s most romantic fragrances to this scent. All products are original, authentic name brands. We do not sell knockoffs or imitations.